Home Addons Find People on One Screen with Dynamics CRM Add-on PowerFind 2 people are discussing this now. PowerObjects add-on PowerFind allows people to be effortlessly found across multiple entities in Microsoft Dynamics CRM: Accounts, Contacts, Leads, and Campaign Responses. With an easily configurable reading pane, important information is available for each entity on a single screen. PowerFind is perfect for searching across entities to find people in CRM. Only records related to the search will be shown. 3. Use the Search Bar to perform a search. Any account, contact, lead, or campaign response that contains the search item (in the fields designated during configuration) will show in the window below. PowerFind searches from the beginning of the field but also within the field. Generally to perform a search to include within field, an * must be placed at the beginning of the search (i.e. : *Rob). PowerFind saves time and clicks by allowing you to skip this step. It will permits for a more robust search with much less effort. In the example below, note that the search results for “Rob” pulled up multiple entities relating to the search as well as records that contain “Rob” anywhere on the record (within specified fields on the configuration step). Thanks for your interest in PowerFind. 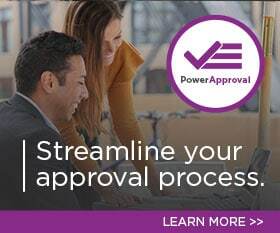 Should you have any questions, contact us at 612-339-3355 or email powerpackpro@powerobjects.com. Remember, your trial will expire 30 days from the date of installation. If you are interested in subscribing, go back to the configuration screen and change “try” to “subscribe” and enter your credit card information – you will be charged $1/CRM user/month. by Joe D365	February 9, 2015 2 people are discussing this now.